The cordless microphone will work everywhere in the room without cutting out and is loud enough to hear in a large crowd. This system will also playback high quality music. 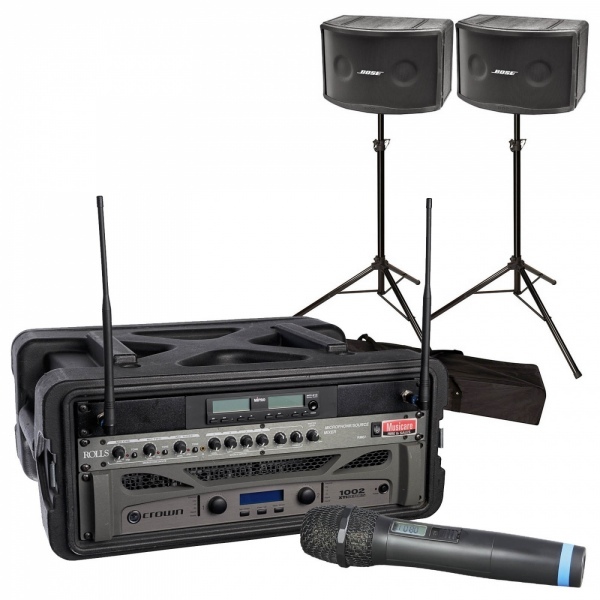 It comes with 2 x weatherproof Bose 802 speakers on stands, a 500 watt amplifier, a multi input mixer, 1 x handheld cordless microphone and an AUX cable for connection of iPod/laptop. Now has Bluetooth for cordless connection to your device.